The Apple Watch Series 4 has made a giant leap forward in terms of design as well as functionality. This year, a lot has changed for Apple’s wearable. It boasts a bigger display in the same form factor, powerful internals, and an EKG sensor which looks quite promising. We have to wonder what changes the company made on the inside to achieve the new design. Well, following the teardown of the iPhone XS and iPhone XS Max, iFixit has taken the liberty to open up the Apple Watch Series 4 44mm with LTE. There are a series of changes which we will talk about later on. 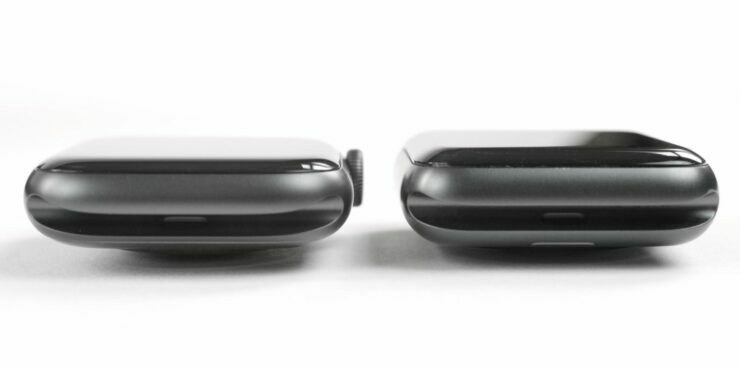 According to iFixit, the Apple Watch Series 4 reveal a major design shift on the inside. The experts’ coin that while the original Apple Watch used too much glue and was awkwardly layered together, the Series 4 seems to be more thoughtfully laid out. Apple has put some serious thought into the Series 4, serving up a new case, new buttons, new display, and new features. And where the first watch’s internals seemed awkwardly placed and unpolished by Apple standards, for the Series 4 they really painted the back of the fence. Our teardown uncovered a streamlined antenna system, a display that’s both bigger and thinner, and a new ECG conductive digital crown. Pundit John Gruber rightly likened this new watch to the leap in design brought by the iPhone 4, but we’d go so far as to call it an iPhone 5: A device that knows its priorities, and wants to look elegant inside and out. Initial glance upon internals provides more or less the same look as previous iterations of the smartwatch with the battery and the Taptic Engine covering most of the place. However, as you dig deeper, you will see several changes. The barometer sensor has been relocated to the speaker grille which would ease its access to the environment outside. The same sensor has a dedicated cutout beside the microphone on the Series 3. While the processor was strictly glued in the previous Apple Watch models, the S4 chip in Series 4 is attached with screws, reveals teardown. The golden ring is most likely an antenna as the team has not seen the usual golden gaskets. The Apple Watch Series 4 now boasts a 291.8mAh battery, which is 4 percent bigger than its previous model of 42mm. 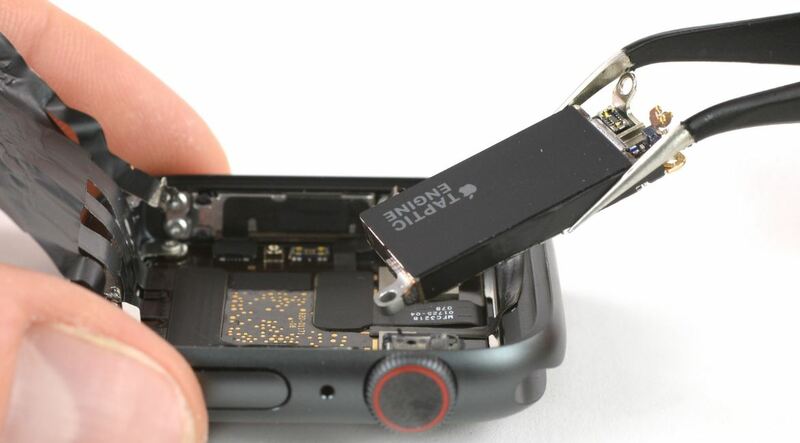 The teardown also reveals that the Taptic Engine is redesigned to be thinner and longer. 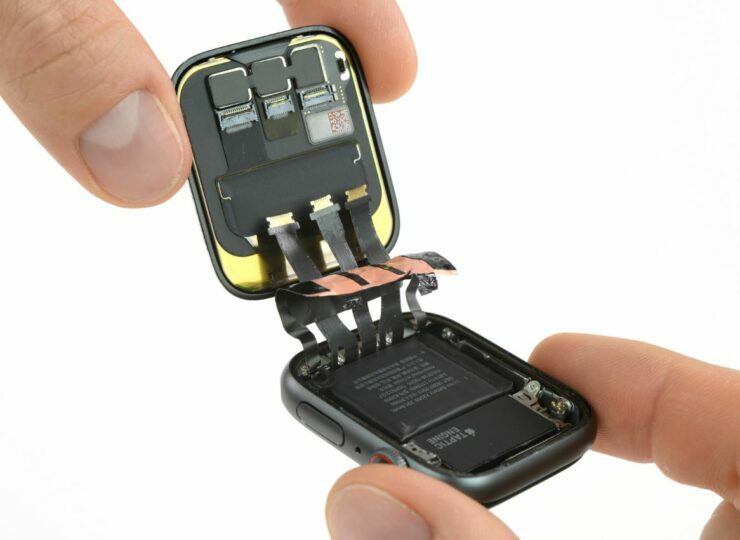 According to the folks over at iFixit, space could have made room for a bigger battery. The display on the Series 4 is thinner than the previous models as well, so possibly this is one of the reasons for a slimmer form factor. Lastly, the rear casing also comes out easily compared to the previous version. 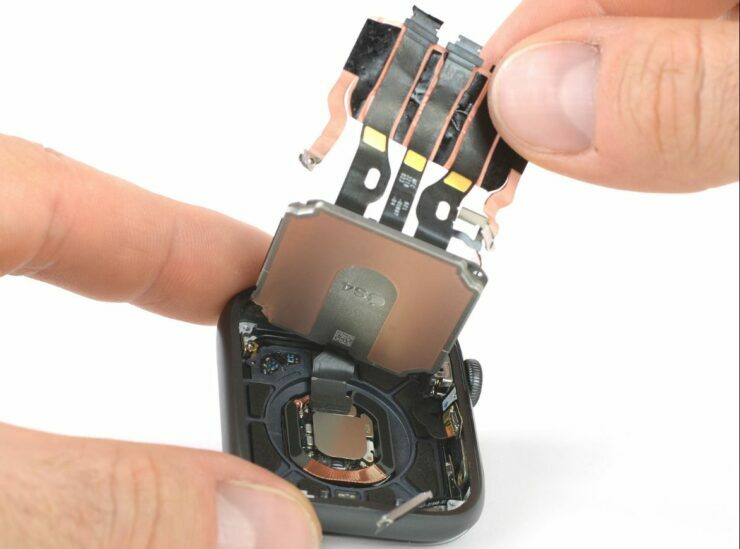 As for repairability, iFixit suggests that the Apple Watch Series 4 is closing into the repairability level of the iPhone. The only obstacle at this stage is the display as the battery is fairly easy to replace. On iFixit’s repairability scale. the Apple Watch Series 4 scores 6 out of 10 with 10 being the highest score. Read more about the teardown here. There will be more to the story, so be sure to stick around for more on the matter. Share your views on the Apple Watch Series 4 teardown in the comments.